Were it not for the lack of witty repartee, I’d advise Quentin Tarantino to call his lawyers immediately, as WET is a highly stylistic, violent game similar to a movie by the prominent director. While the dialog isn’t up to par, the game places players in control of femme fatale, Rubi, in action that rivals Kill Bill. WET boasts variety, throwing new elements at the player while keeping the same base action components. Unfortunately, the game’s short length and weak plot inhibit its potential. When it rains, it pours, and so it goes for WET. The game’s highs are very high, but its misses fall far from the target. WET’s action is top notch. Simple controls allow for exciting and fluid movements. The game pushes suspension of disbelief to the next level. As Rubi performs 360 dives and wall runs, time slows, allowing her to pick off opponents with ease. She rarely faces a fair fight, as even ten to one odds are in her favor. The game employs dual weapons, though that doesn’t just equate to a second loaded clip (for that matter, Rubi never needs to reload). When Rubi performs slow motion attacks, the computer takes over the second weapon, allowing players to drop two enemies out at the same time. The game introduces new enemies as players progress, though the strategy to take them out doesn’t vary (jump, shoot and repeat). 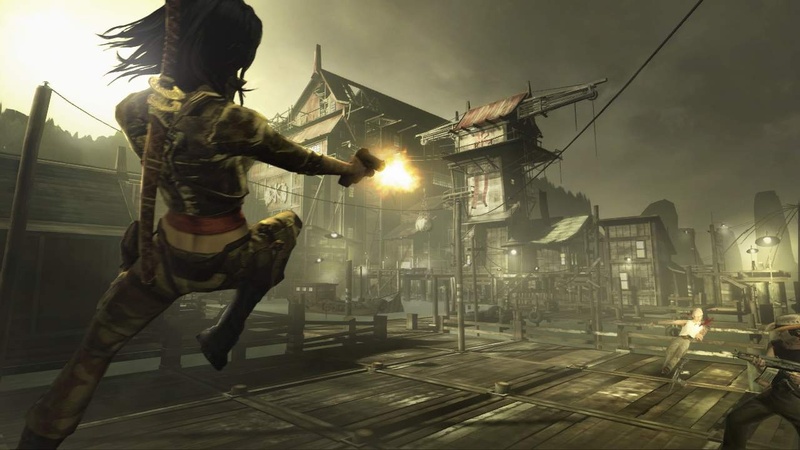 Despite Rubi’s ease in dispatching enemies from the start, the game exacerbates this imbalance by constantly giving upgrades to Rubi’s acrobatic skill and weaponry. Obstacle courses accompany new weapons. While these courses can be frustrating, they acquaint the player with the weapon at hand and new acrobatic moves instrumental in future platforming segments. The health system is based around regeneration, though med packs (alcohol) are available. During combat, Rubi regenerates health based on the combat multiplier (up to 5X). The combat multiplier increases by stringing kills together and decreases quickly when not in combat. The game throws a few quick-time events, but uses them sparingly and only in game-appropriate situations. The action button prompted always corresponds to the normal controls for the game. WET varies each level. 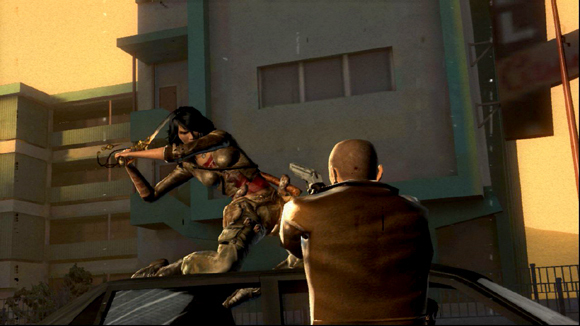 Every few missions, the game offers a more action-oriented level, such as playing entirely on top of a moving car. Players jump from car to car to kill the target, as explosions burst in a display worthy of Michael Bay. 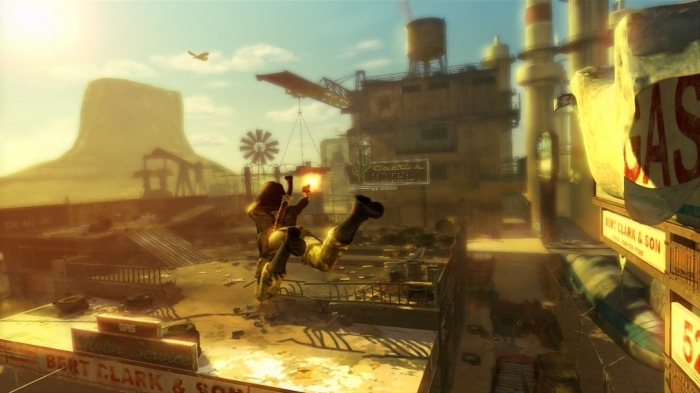 The game also sends players on a death-defying dive out of an exploding plane, navigating through the wreckage. It’s a thrilling albeit frustrating segment. The game contains a few Tomb Raider-esque platforming segments. The camera angle changes the direction the joystick corresponds to mid-movement, which introduces the biggest issues with the controls. It’s a nice break from constant combat, but it could have been better executed. 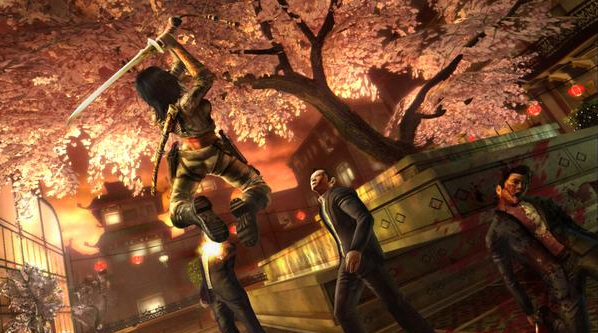 The game’s style is best seen in Rage mode. As blood splatters on Rubi’s face (at predetermined times), the game changes to a gory and stylistic red, black, and white. From here, Rubi’s combat multiplayer is not limited. The look is well-executed and exciting to watch, preventing repetition. The games graphics are mediocre, but players won’t find problems unless they look for them. The game’s presentation, on the other hand, is tremendous. It has an old-school, drive-in, grindhouse feel. The game often uses a film projector filter. Should Rubi die, the film in the projector will tear and burn. Drive-in commercials for the snack bar even mask loading screens. The games biggest weakness is the plot. It’s generic and poorly written, but comes close to redemption near the end. The main issue is the dialogue. It’s hard to take a game seriously when f*ck is a key on the author’s keyboard for how often it’s used. The characters are stereotypical and uninteresting. While this may be typical for this type of movie, it’s a cop out to use that as an excuse. Despite its flaws, WET is a real gem. It’s rough around the edges and could have used more polish, but it’s extremely enjoyable. Players looking for a fun action shooter could do much worse than WET.